The following is a guest post from Higher Education Marketing, a digital marketing agency based in Montreal, Canada. It was originally presented on the Higher Education Marketing blog and is adapted and republished here with permission from Higher Education Marketing. More than ever, parents and students are looking at post-secondary education as a practical investment that ought to “pay off” with tangible outcomes – like a secure job after graduation, the potential for income growth, and the knowledge needed to evolve and advance. 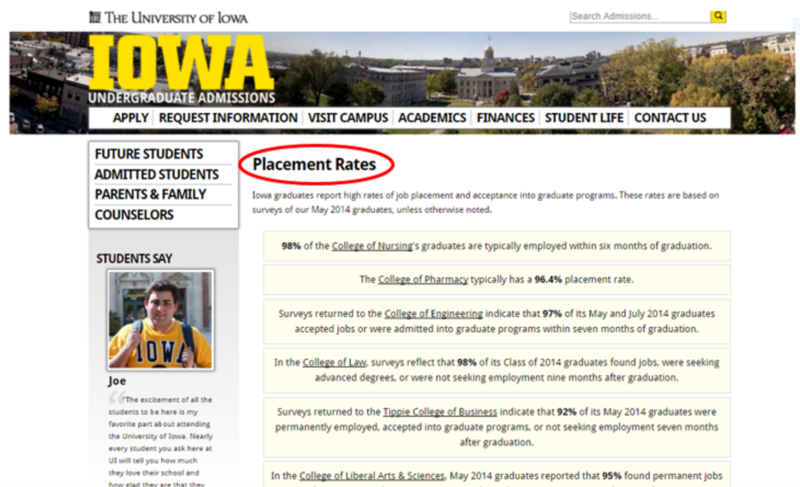 Graduate outcomes and job placement. But schools who put “ROI content” front and centre on their own website make the task much easier for prospective students and parents to complete, without navigating away to pursue their research elsewhere. Giving decision-makers the tools they need to evaluate your institution should be the primary goal of your recruitment content strategy. Facilitating the easy discovery of key information on your website helps nurture the conversion process – while enhancing your reputation for transparency, helpfulness, and overall trustworthiness. 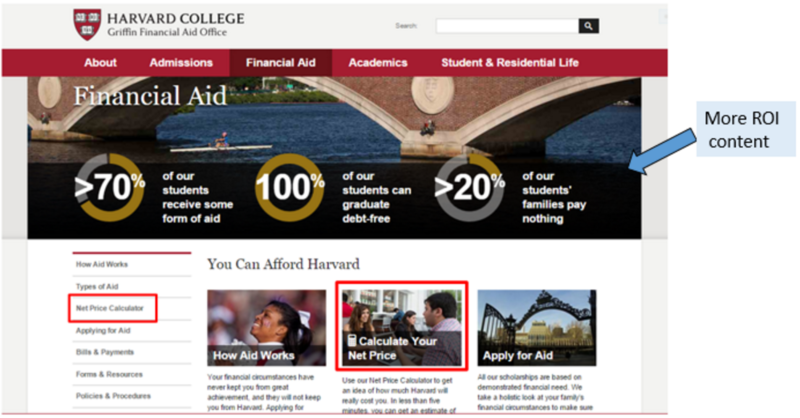 Here are four examples of ROI content students and parents are likely to look for on your school’s website. 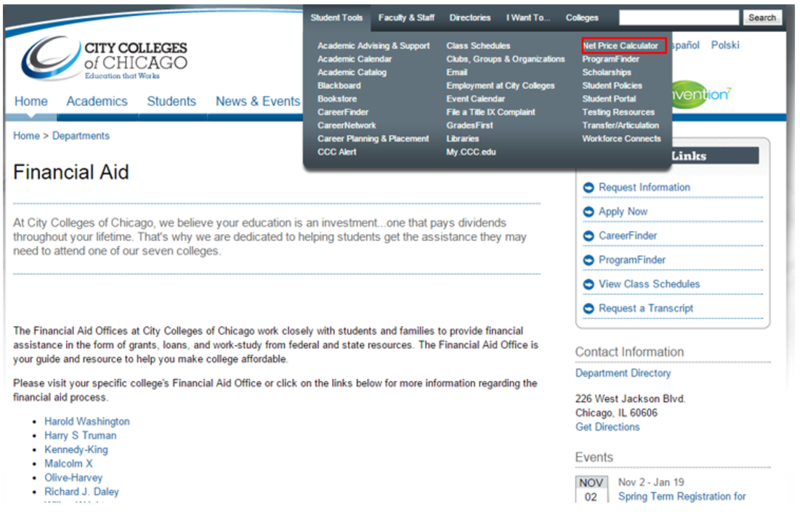 Cost Calculators can be so hard to find on school websites, that US News & World Report compiled a long list of links that lead directly to the calculators of various colleges and universities in the United States. It’s no doubt better (and more reliable) to cut right to the chase, and ensure that you have this crucial tool on your website, and that it’s easy for visitors to find and use. 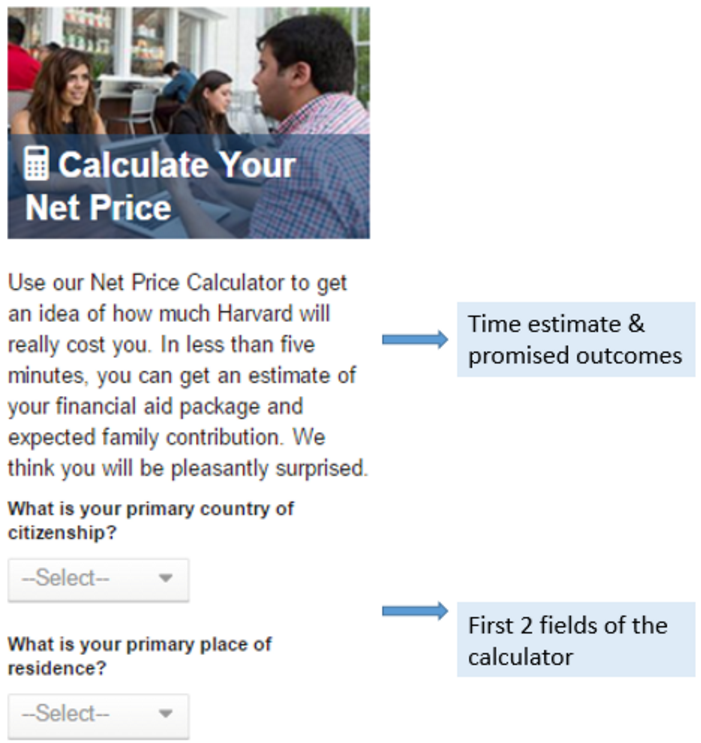 If you know that affordability is a top concern for your audience, consider moving your calculator to a more prominent location on your website – or featuring CTAs that direct visitors toward the tool on your homepage, programme pages, financial aid resources, or application section. Some career colleges do this quite well. Much of their recruitment marketing rests on the promise of effectively preparing students for in-demand, reliable jobs. Providing stats on wages and industry outlook is key to building confidence that the training investment will “pay off” after graduation. 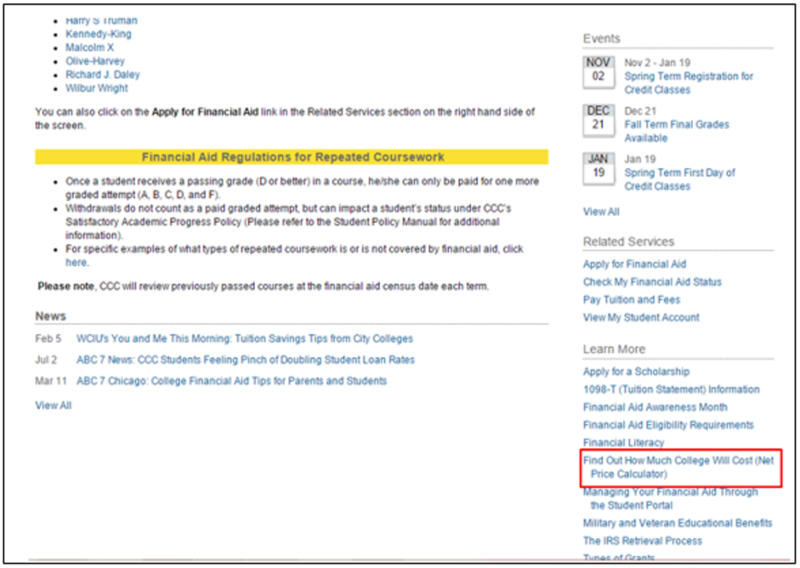 On the other hand, even though it seems intuitive, not all career colleges and universities are making this information easy to find (or present at all) on their websites. Students are left to research salaries and industry trends on their own – which means navigating away from your domain, and relying on others (very possibly competitors) for important guidance. Here are a couple of career colleges who are doing a great job of highlighting ROI content in the form of average salaries and career outlooks for each of their programmes. Visual, easy to interpret, and prominently displayed, this graphic offers visitors persuasive decision-making information at a glance – supporting Herzing’s brand as a reliable career college while helping to mitigate bounce rates. If you’re a university – and each of your degree programmes leads to a range of potential careers – pinning down average salaries and employment outlook might be a bit challenging. However, you could definitely survey your alumni and provide statistics on how many found work in their field after graduation. 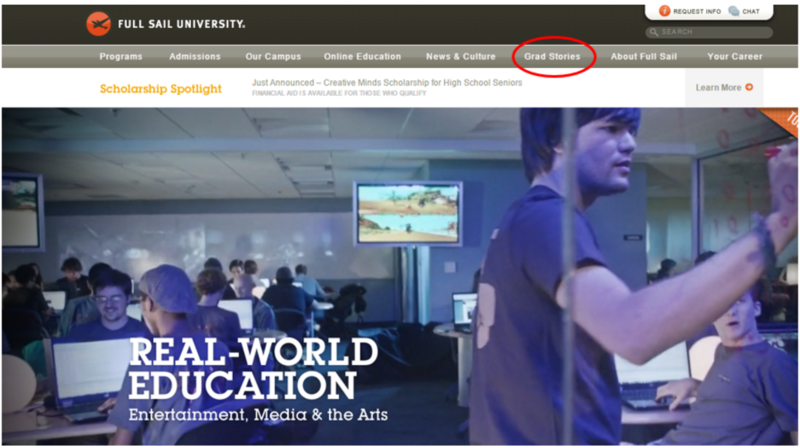 Visitors to your website want proof that their degree will lead to a rewarding job. This evidence should be prominently displayed in your academics/programmes section, to spur inquiries and prompt applications. 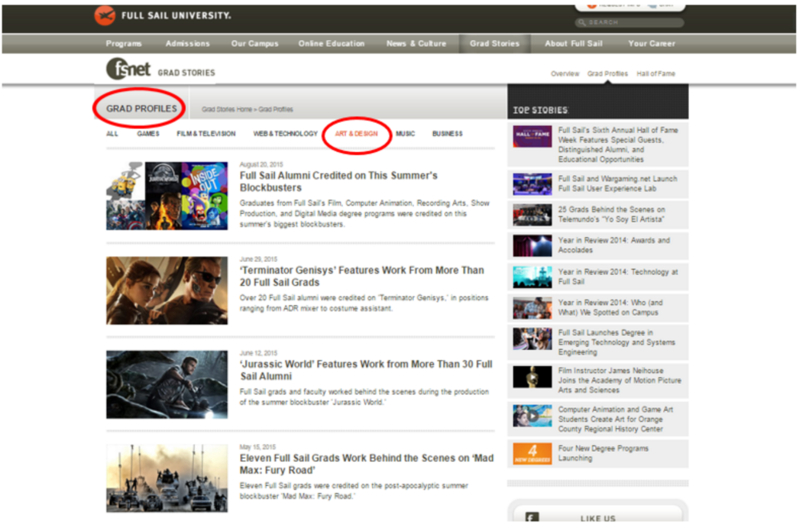 Their extensive list of profiles (in this case, from the Art & Design faculty) includes very specific information about who employed Full Sail Art & Design graduates, for which projects, and exactly how many grads found employment on that particular project. This resource is up-to-date and presents precisely the kind of hard data prospective students are looking for when calculating ROI on enrolment. Nothing builds confidence in successful outcomes like concrete data on alumni career success. ROI content like this, combined with detailed information on career support services, is ideal for persuading decision-makers that your school delivers on its promises. 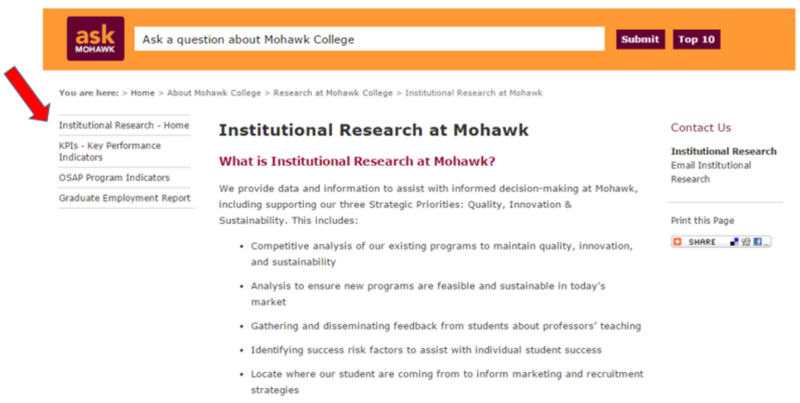 Mohawk College provides an interesting resource to website visitors who are eager to determine the effectiveness of its training programmes and learning environment. Professional success of graduates (according to the Graduate Employment Report). Mohawk breaks down each Key Performance Indicator (KPI) in an easy-to-read chart, explains how the KPIs are determined, and how results are gathered. As websites get flashier and content marketing grows ever more flamboyant, solid ROI content (effectively presented and easily accessed by visitors) can be a refreshing and reassuring breath of fresh air to the overwhelmed decision-maker. This entry was posted in Higher Education, Marketing, Most Popular and tagged study abroad, university websites, student recruitment, Most Popular, colleges with international students.